With Easter late this season (19 to 22 April), you’ll need to aim high for guaranteed snow if you want to ski then or in the few weeks before. Late March and April is one of my favourite times to ski because of the combination of strong sunshine and good spring snow. 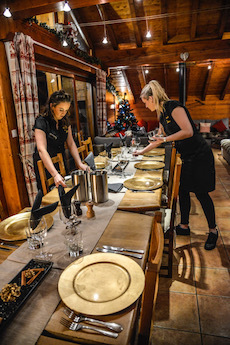 Why not combine guaranteed snow with top-quality cuisine by staying in one of Powder N Shine’s six splendid catered chalets, five of them right on or close to the piste at 2000m in the attractive Reberty area of Les Menuires (part of the huge 3 Valleys ski area). The sixth is down the piste a bit in the Les Bruyeres area. 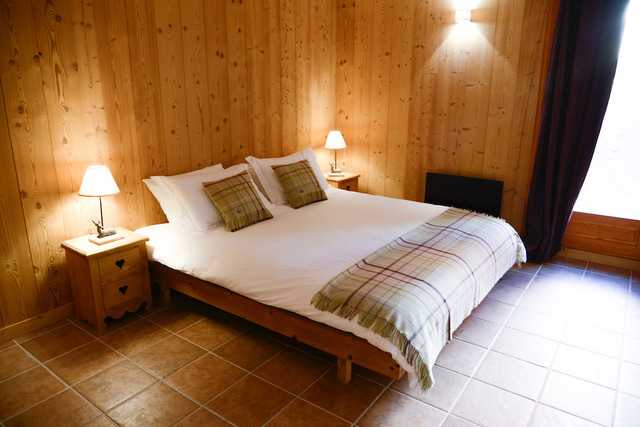 And their prices are very affordable (around €1,000 for 7 nights, depending on the chalet and dates). Powder N Shine’s last week of the season is w/c 13 April and the 3 Valleys links and local Les Menuires lifts and pistes are open till 22 April (Easter Monday). Neighbouring Val Thorens stays open till 5 May. Les Menuires’ local La Masse sector is north-facing and reaches over 2800m. The snow here usually stays in great condition until the end of the season There are blue, red and black pistes down and it offers a vertical of around 1000m. Val Thorens’ slopes are only one lift ride away. And there you’ll find a vast array of north-facing pistes, reaching over 3000m, which are famously snowsure. Then there’s the rest of the 3 Valleys 600km of pistes to explore. Powder N Shine prides itself on providing top-notch service and gourmet cuisine. Nearly all their chefs have worked in Fine Dining and/or Michelin-starred restaurants such as The Fat Duck, Petrus and The Ledbury. I stayed with them a few seasons ago (in April) and was very impressed. See my blog here. Since then they have expanded into another three chalets and completely renovated the one I stay in. They all have hot tubs (all outside) and all chalets in Reberty have saunas too.